Unions tell Democrats to run on minimum wage hike, ignore CBO report. Richard Trumka knows you can’t trust the conservative economists at the Congressional Budget Office. HOUSTON—This week’s meeting of the AFL-CIO, the leadership of the unions that make up labor’s monolith, was supposed to happen in the wake of a big victory in Chattanooga. There was no victory in Chattanooga. The tone when labor leaders left their meetings and talked to reporters was occasionally bitter (more on that later), and eventually forward-looking. Hey, what about those upcoming 2014 elections? Until this week, Democratic candidates were completely comfortable with that script. Mary Burke, the likely Democratic nominee against Scott Walker in Wisconsin, just came out for a $10.10 minimum wage, which led Republicans to accuse her of being led by the polls—an admission that this was popular. Then came yesterday’s CBO report. Republicans had been warning that raising the minimum wage would kill jobs. Here was the CBO, crediting the possible hike with the possible loss of 500,000 jobs. “The report confirms what we’ve long known,” said a spokesman for John Boehner, triumphantly. The AFL-CIO’s response? Ignore this. 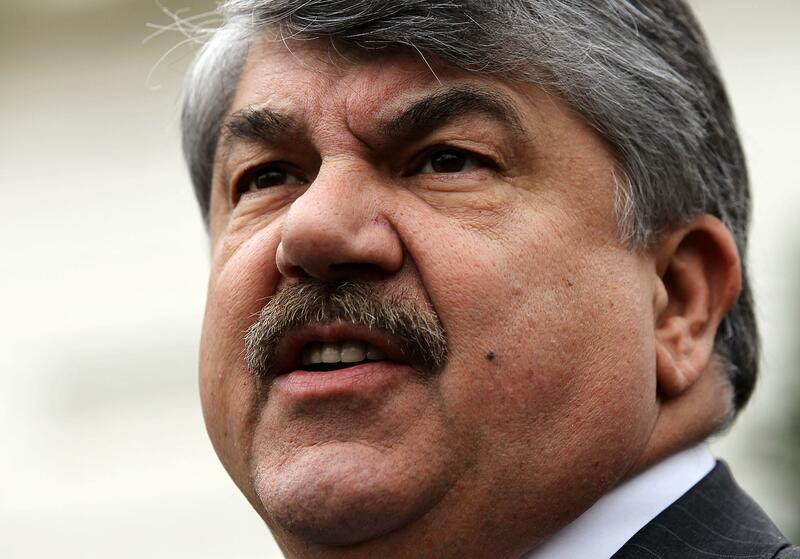 “Being consistently wrong and not caring about workers are the only two things conservative economists can be counted on for,” said AFL-CIO President Richard Trumka in a Tuesday statement. “This is more of the same noise.” At a press conference today, it took a surprisingly long time for a reporter to bring up the CBO number, but no time for Trumka to dismiss it again. “I can’t say this emphatically enough,” he said. “Every single time we’ve raised the minimum wage, 38 times, people have said this is gonna cost jobs.” But it hadn’t.